After a few decent Tournaments in the Middle East the European Tour takes a turn for the worse this week thanks to the World Golf Championship event in Mexico. The Tshwane Open is yet another co-sanctioned event with The Sunshine Tour and with the European Tour’s bigger names playing in the WGC, we are left with a rather weak looking field but an intriguing betting heat nevertheless. The event returns for the 4th year to Pretoria CC and the course is quite short at 7063 yards and although it is a tree lined course, Coetzee (2015 winner) and Burmester (2017) are hardly the most accurate of drivers. That suggests that finding greens can still be done from the rough so driving accuracy will take a back seat in the search. All 3 course winners are long off the tee though and Burmester ranked 18th last year in driving distance, Charl 2nd in 2016 and Coetzee 20th in 2015. So driving distance looks crucial to allow some loft when attacking the flags. The course was originally designed by Bob Grimsdell, who was also responsible for Royal Johannesburg and Kensington Golf Club, before Gary Player carried out a redesign in 2004. That shouldn’t surprise us too much as both courses are rather similar to the eye and feature tree-lined kikuyu fairways and bentgrass greens. To give further credence to the course link, Coetzee and Schwartzel (2) have also won around RJKGC so I’m also going to look at recent editions of the Joburg Open. While we have seen some surprise winners in South Africa in recent times, that hasn’t been the case at Pretoria as all three winners were fairly well fancied before the start and crucially all three were also South African. I had my price about George Coetzee this week when I looked through the field and I’m surprised he opened at 14/1. I have backed him before here at single figures in better fields and in truth he has very little to beat here on his home course. 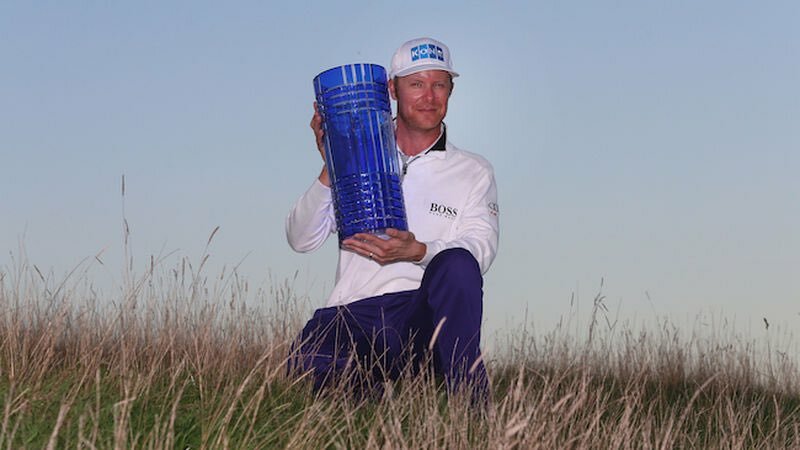 While the course doesn’t immediately look to suit, he has won on tree-lined courses before and having played here since he was a boy, he knows the course better than everyone else. I’m close to following George off a cliff but he won me plenty before my blogging days so I feel like he owes me nothing. But if you aren’t a fan of his and think that he gets in his own way a little then just ignore this bet as you certainly have a stack of evidence on your side. But we need to remember he is still a 3-time European Tour winner with a further six professional titles in SA away from the main Tour. He’s considerably better than everyone in this field (maybe not Julian Suri) and he is arriving off the back of another Top 10 in Qatar. But for a terrible front 9 on Saturday there is every chance that he would have been right in the hunt with Pepperell and Fisher on Sunday but instead he will be a little bit fresher mentally and hungry to win again on his home course. It’s just a matter of time before he strings 4 good ball-striking rounds together and his putting is as strong as ever. He led the field in Qatar on the greens, averaging just 25 putts/round over the first three days, which is quite an exceptional level to sustain for 3 days. If he blows up again and doesn’t place I promise I won’t ever advise him again sub 30/1!! But for now I’m having 2pts ew on Georgie boy at 12/1. Erik Van Rooyen is probably a short enough price here for what he has achieved so far to date but he has a lot of promise and he is fine form, especially if we ignore his weekend wobble in Qatar. He recovered slightly on Sunday but in truth the title was gone and he will have learned from contending for his first big European Tour event away from SA. Van Rooyen has some course form with a 10th in 2016 and he also finished runner-up around RK&JGC in December behind Sharma. That makes him very interesting here and I’d certainly rather take a chance on a young up and coming player than side with one of the many Sunshine Tour journey-men on show this week in Pretoria. He also fits a similar type of profile to both Coetzee and Burmester as they are all big hitting South Africans and those two were still finding their feet a little on Tour in terms of winning. It’s maybe one year too early still for him but I think 28/1 is a nice price to take a chance on the man who currently has the lowest stroke average on the European Tour. I have had a look through the rest of the field but I suppose I was trying to find a 3rd player rather than particularly liking any other bet so I’m going to leave it at just the two bets this week. Anyone looking for a 3rd could do worse than go with Haydn Porteous at 45/1 which seems a little high for a player of his promise although he hasn’t had a top 10 anywhere since his maiden European Tour win in September. He is more of a general 33/1 shot as well which is a lot less appealing. Connor Syme seems a little over priced again at 150/1 but I’ve already done my money on him this season and he will remain a watching brief for now. Julien Guerrier appealed at the price until I noticed he has missed 11 of his 14 cuts in South Africa.